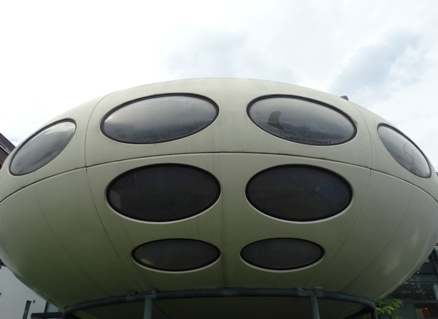 The photos below were taken 072616 during a visit to Taunusstein; the condition of the Futuro appears to be largely unchanged from that seen in previous photographs. 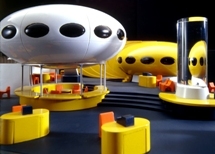 These two photos show a model of the exhibition stand Expotechnik created for Diehl Data Systems for the 1970 CeBIT event in Hanover, Germany. 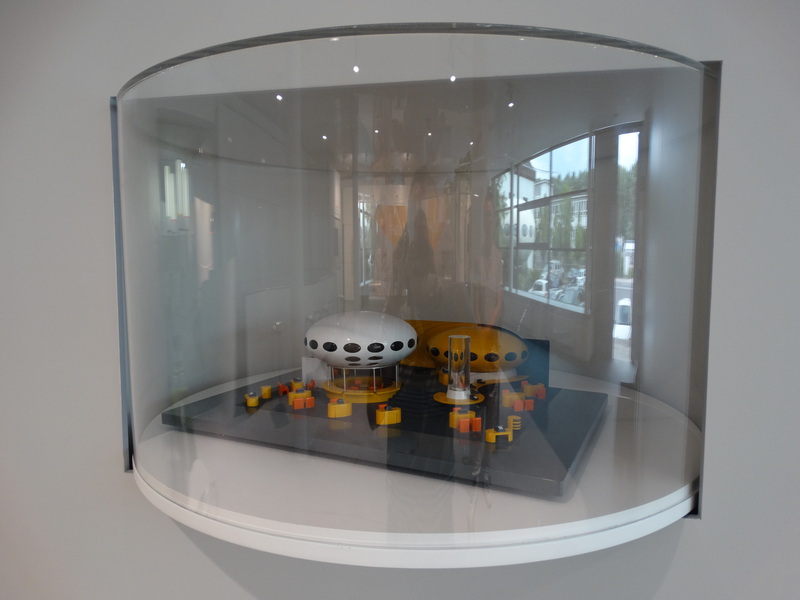 This model is on display at Expotechnik's headquarters campus in Taunusstein. 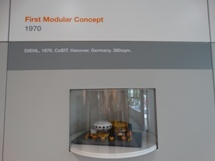 The following photos are displayed courtesy of Expotechnik and show the Diehl Data Systems display at the 1970 CeBIT Exhibition followed by several renderings of their model of the display stand. 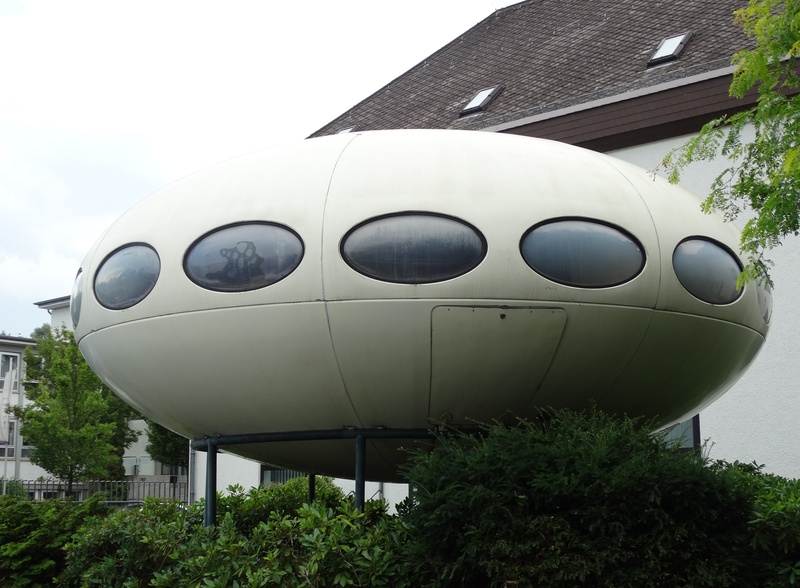 Yves Buysse aka futurohouse has shared many photos and other items on these pages and it looks to me like he recently took a "Futuro Roadtrip" visiting this Futuro and those in Niedernhausen and Haigerloch on 031316. 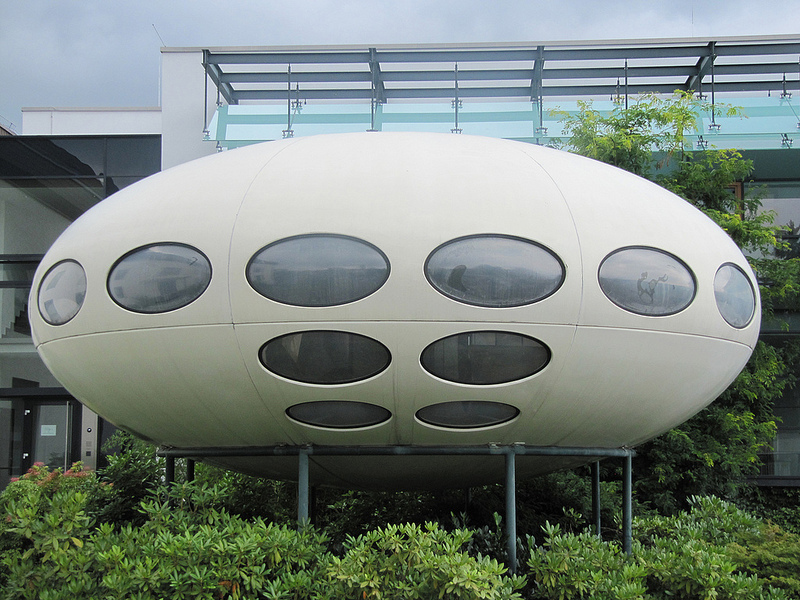 This photo shows this Futuro as it appeared on 031316. Yves; I hope you don't mind me sharing this photo here. 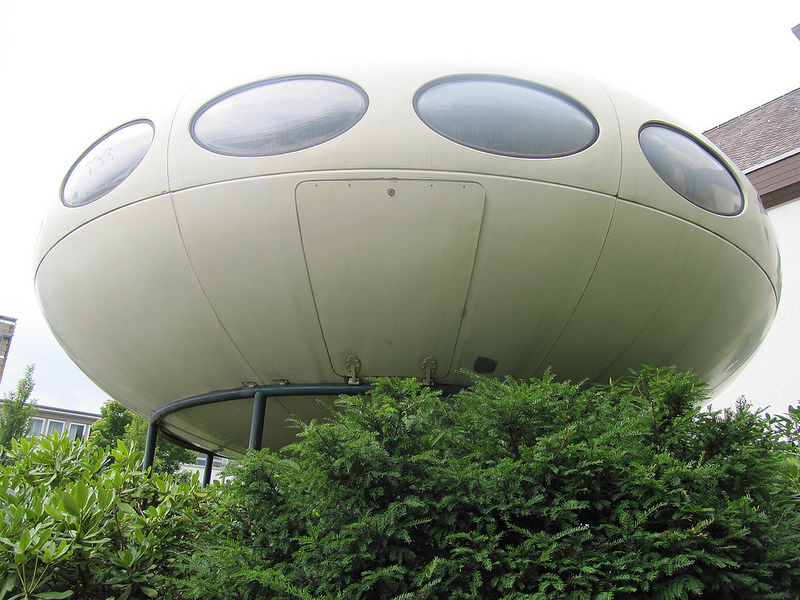 The confirmed date for the Taunusstein Futuro can now be updated to 072812. 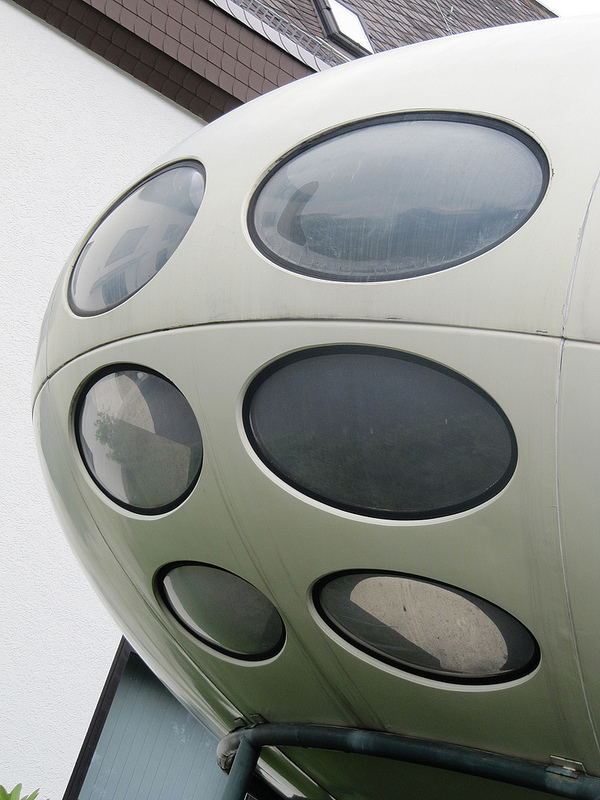 Achim Breiling aka "futurohunter visited the Futuro and took these photos 072812. Thank you for sharing them Achim! In July of 2016 I was fortunate enough to be able to take a vacation to Europe. 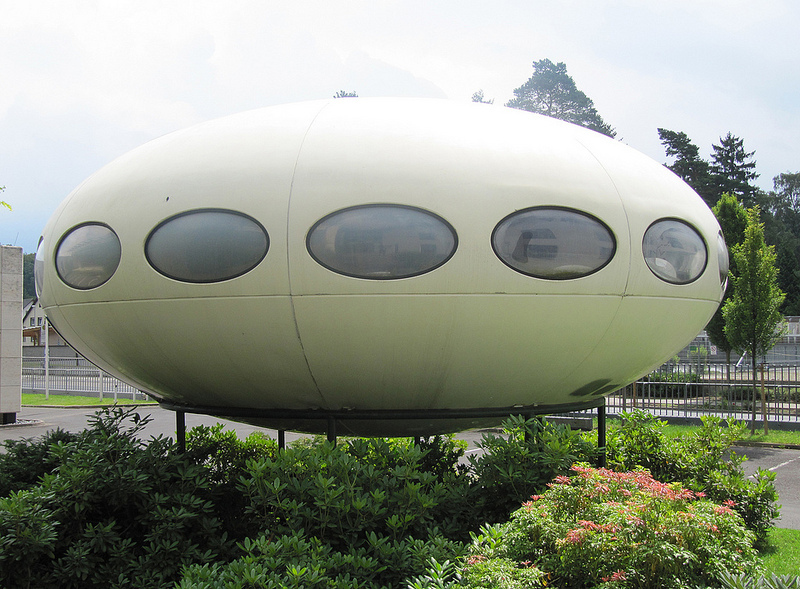 The primary destinations were England and Switzerland but I was able to squeeze in a quick road trip through Germany to visit this Futuro along with those in Haigerloch and Niedernhausen as well as the half Futuro in Frankfurt. 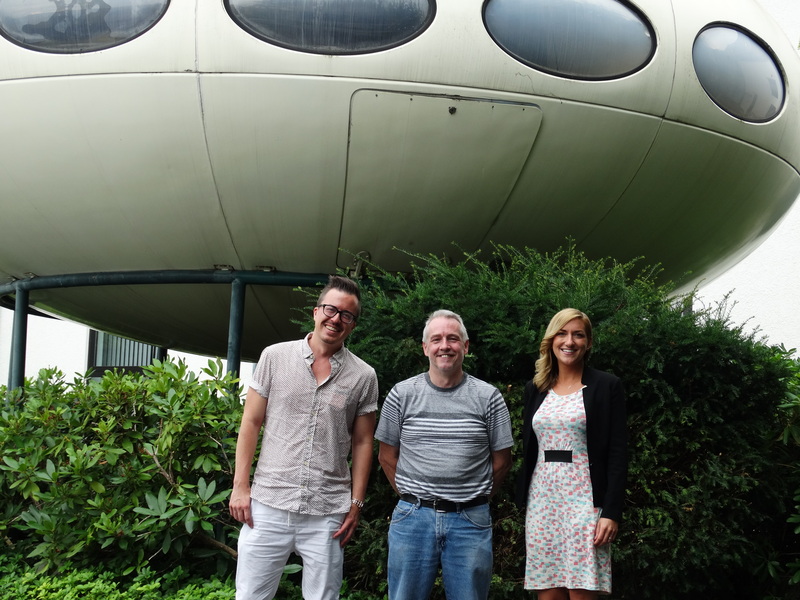 During my visit to Taunusstein Simone Jungen and Benjamin Bothun of Expotechnik took time out of their busy day to visit with me and tell me a little about the Futuro [the three of us can be seen in the photo above left]; thanks for your time and information guys! 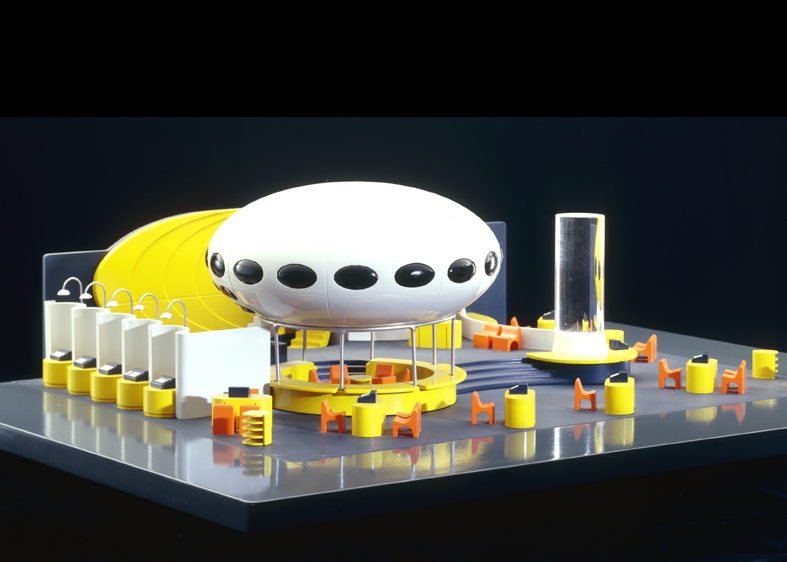 The visit also rated a mention on the Expotechnik Facebook page [the photo there includes my wonderful wife who puts up with my Futuro "nerdiness"]. 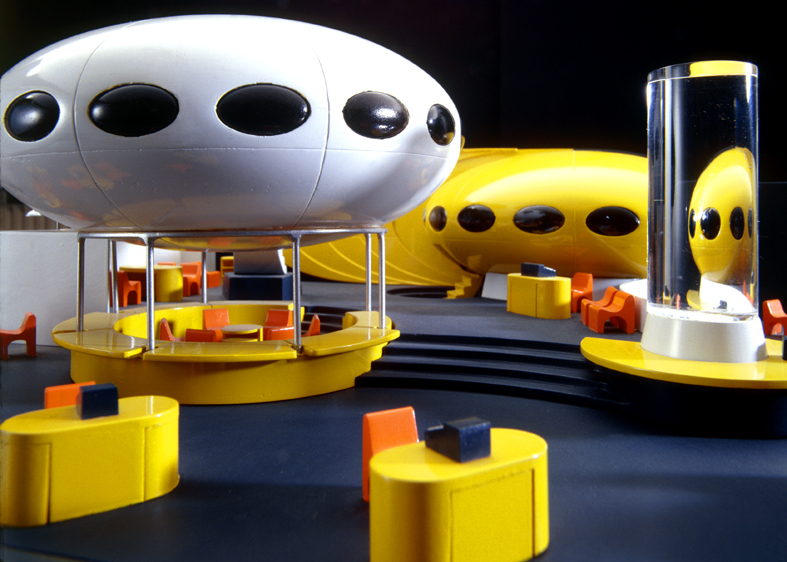 Expotechnik's involvement with Futuro goes back to 1970 but my previous speculation that Expotechnik may have been involved in the manufacturing of Futuros was inaccurate as was my assumption that their Futuro had been manufactured under license in Germany. In fact Heinz H. Soschinski, Expotechnik's founder, had visited with Polykem in Finland and negotiated the purchase of two Futuros that were in fact manufactured in Finland and then imported into Germany. 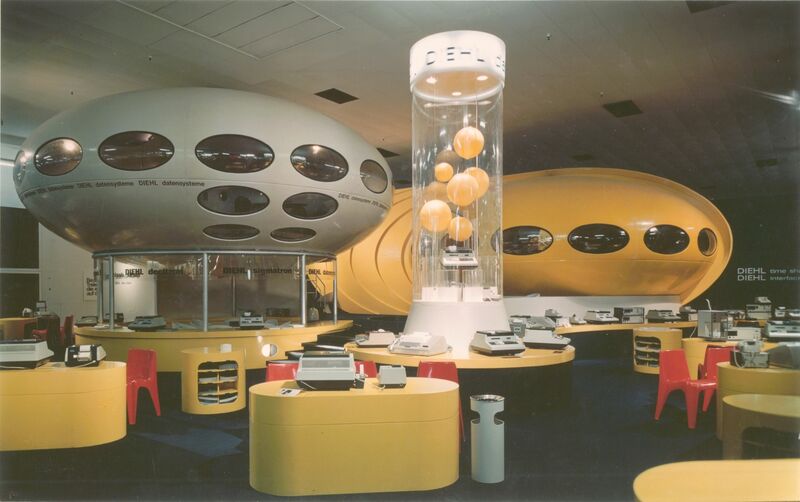 The units were then used in the exhibition stand Expotechnik created for Diehl Data Systems for the 1970 CeBIT event in Hanover, Germany. 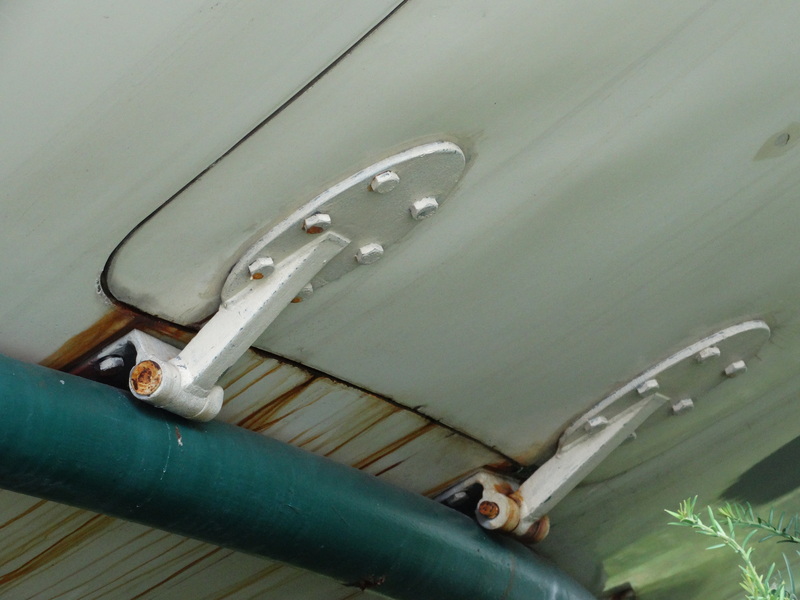 This installation was received enthusiastically and is seen by Expotechnik as having laid the foundation for the growth and long term success of the company. 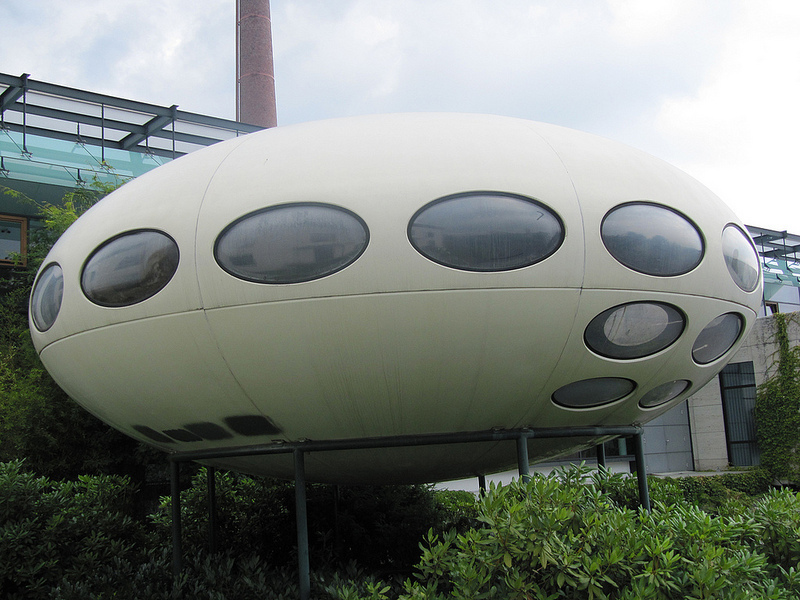 The continued presence of one of the two Futuros at Expotechnik's group headquarters marks and commemorates this "milestone" for the organization and recognizes the central role the Futuro House had in making Expotechnik what it is today. The second Futuro was a yellow unit half of which can now be found in Frankfurt. The folks I met with at Expotechnik did not know what had happened to the other half but agreed to try to find out for me. Hopefully more news on that in the future. 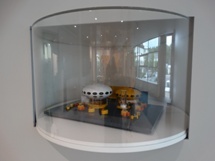 Expotechnik proudly display a scale model of the CeBIT display stand at their headquarters and several renderings of this model along with a couple of photos can be found at left. 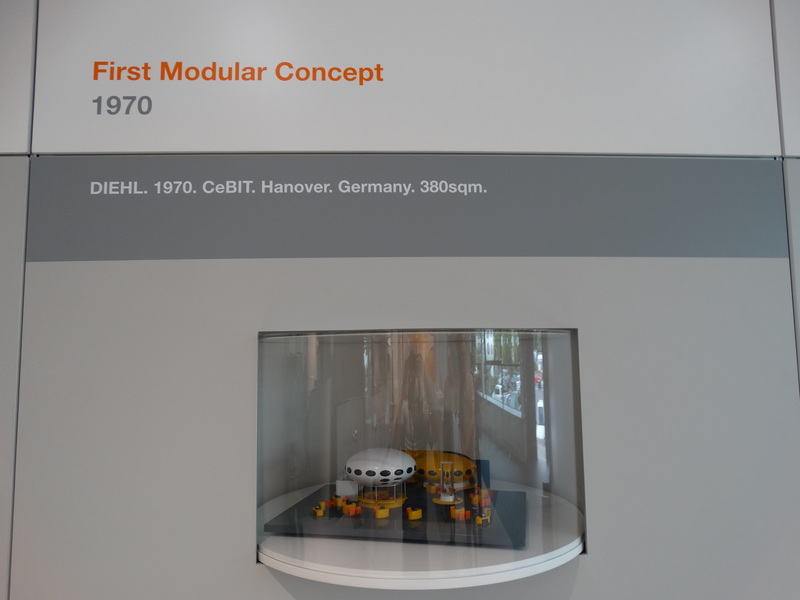 Also to the left is a photo of the actual CeBIT installation and several photos of the Futuro taken during my visit. My thanks to Simone and Benjamin for sharing some of these items. The Futuro on the Expotechnik campus is currently sealed and no one can go inside due to local authorities deeming it unsafe. 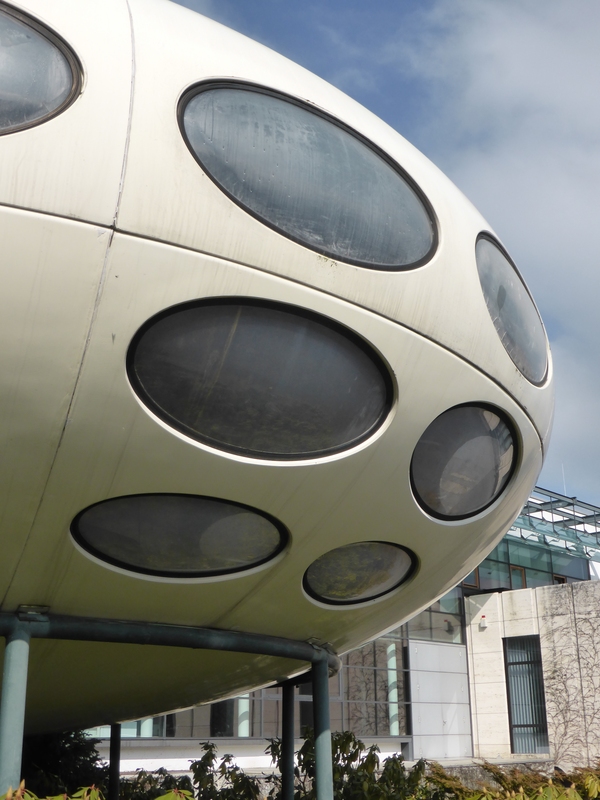 Expotechnik hope to restore the Futuro at some point though currently there are no formal plans to do so. 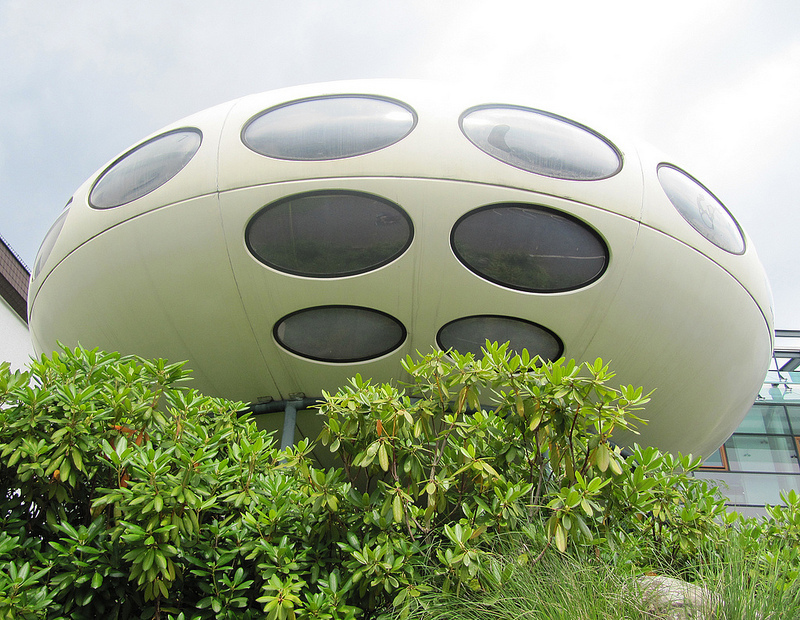 The "nugget" of information regarding the origin of these Futuros was probably the most interesting thing to come out of my visit to Taunusstein. 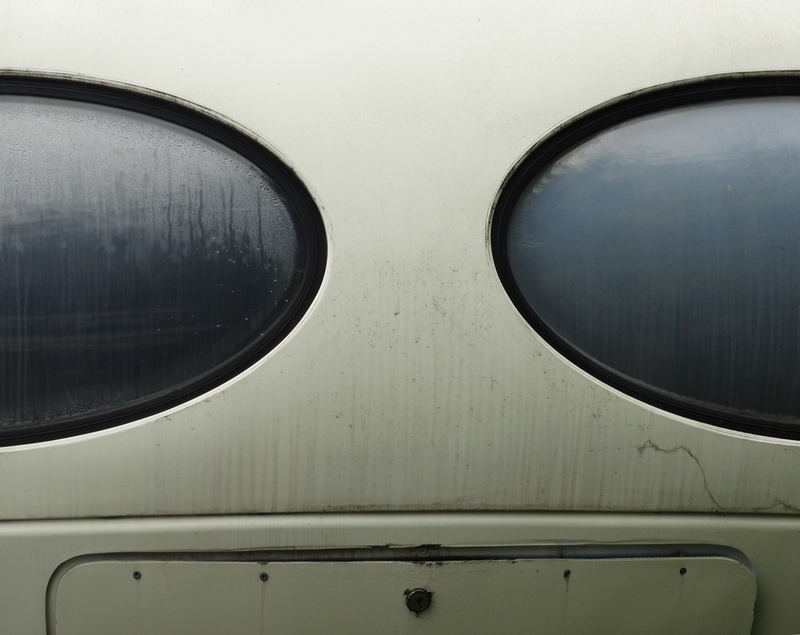 The "Finnish 20", as I like to call them, are the original 20 Futuros manufactured by Polykem in Finland. 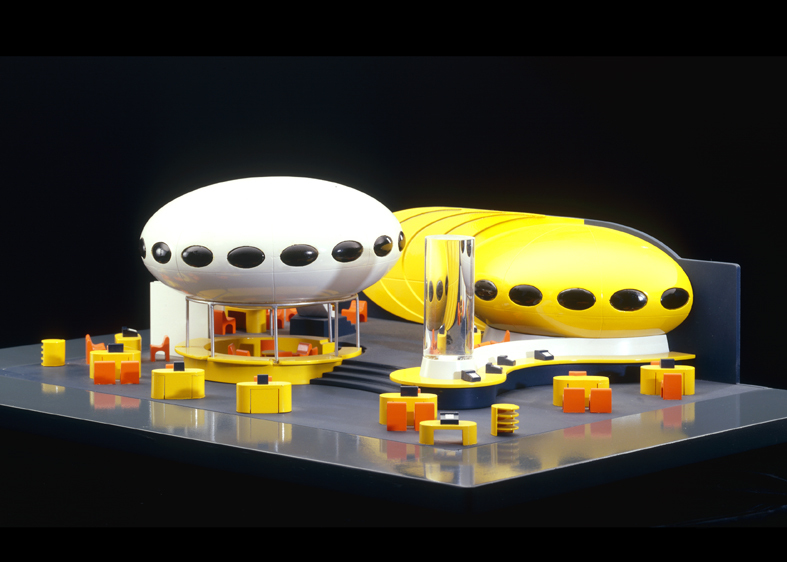 The list is based on a "CV" put together from memory in the 1980's by Matti Suuronen. I have "taken liberties" with this list and run through several "hypothetical" versions based on various pieces of information and learning that these two German units were manufactured in Finland has prompted me to come up with yet another version of the "Finnish 20". I was looking through old emails I had received to see if I had missed any information and of course I had. 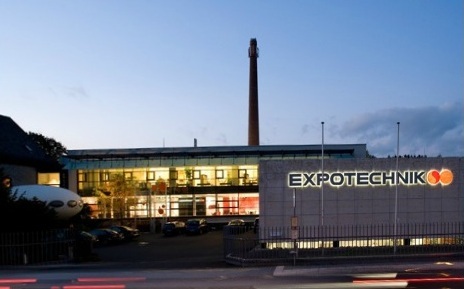 One referred me to this document [German - English version here]; a press release on company history from Expotechnik Holding GmbH & Co. KG. 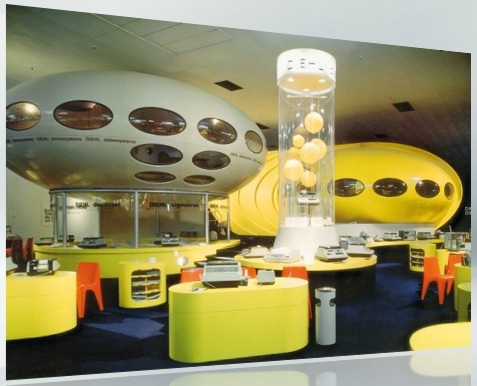 The document recounts some details of an exhibition presentation created for Diehl to be displayed at the 1970 CeBIT expo held each year on the world's largest fairground the Hanover Fairground in Hanover, Germany. 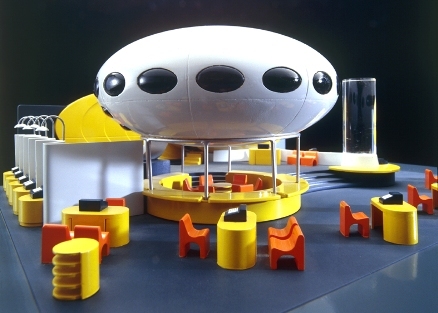 No mention is made of the word "Futuro"; instead the document refers to "UFO's" and describes the presentation as one of the most unique of its time centered around an unusual, futuristic design with UFO's as the featured element. 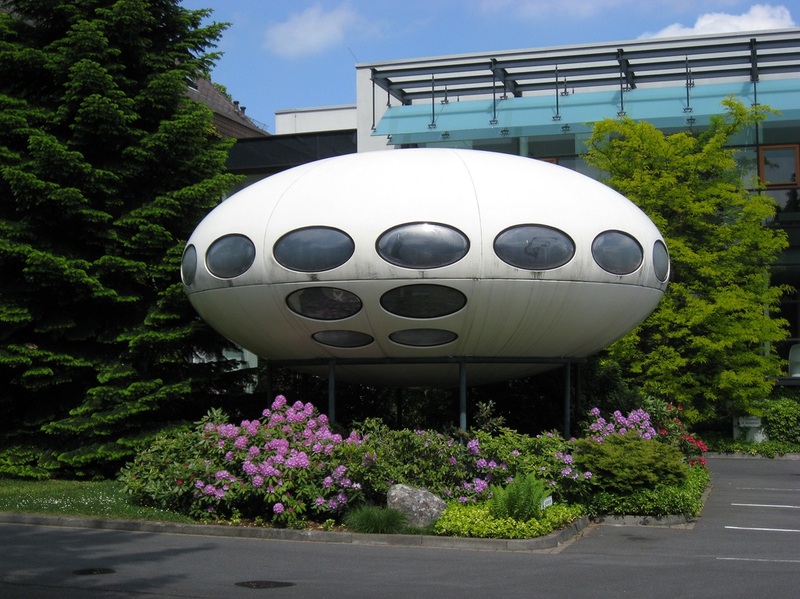 One of the "UFO's" is the Futuro that to this day remains on the companies campus in Taunusstein. 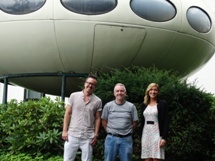 The "half" Futuro in Frankfurt am Main was donated by Expotechnik. 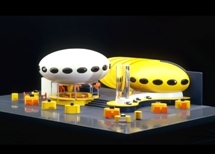 It is unclear if there were other Futuro's; the bottom image in the left column is an image of this display and though it is difficult to tell it looks like to the right of the image are Futuro sections that have not been fully assembled and that there may well be more sections that a single Futuro's worth. Purely speculation but perhaps the company subsequently manufactured or distributed Futuro's. 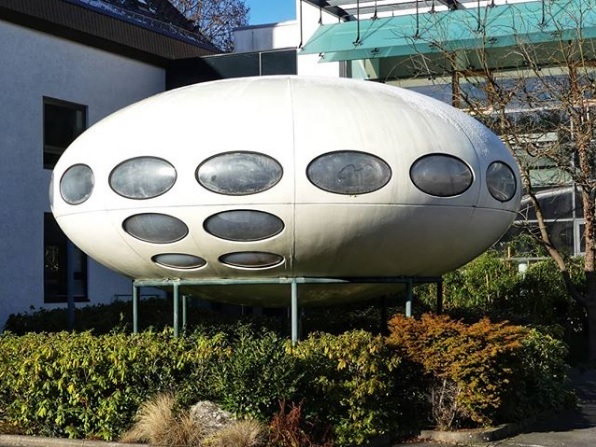 It is also worth noting that as well as the Futuro on the Expotechnik campus and the "half" Futuro in Frankfurt am Main there is also another very close by in Niedernhausen and it is perhaps possible that one too came from Expotechnik. My best guess is that this Futuro has been located on the property of the German company Expotechnik Holding GmbH & Co. KG in Taunusstein, Germany for quite some time. 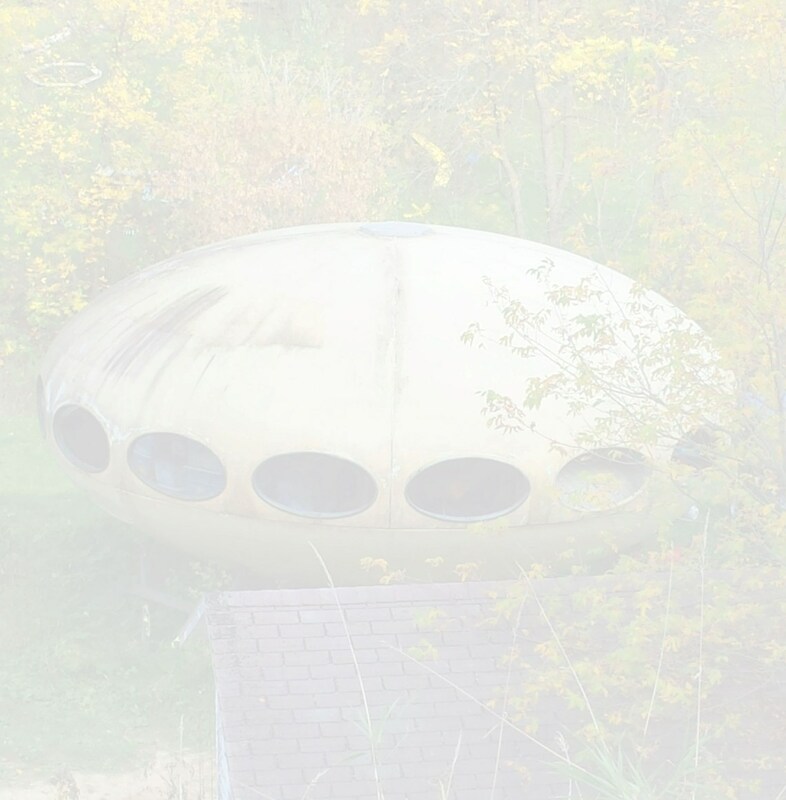 Several web searches have not revealed any information about the Futuro but a look through some of the pages on the Company website suggests the Company has likely had something to do with the Futuro since the late 60's/early 70's; the manufacturing era for the Futuro. The second of the two images to the left showing Futuro's in what appears to be an exhibition or sales setting is displayed in the Company history section and is dated to the period 1968-1977. 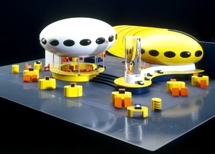 Given that one part of the Companies core business is exhibitions it seems not unreasonable to assume that they were involved in some of the early Futuro exhibitions and it is not a stretch to think they may have acquired one themselves at that time - no way to prove that of course; just seems a likely scenario and of course, as always, if you know better I would appreciate you letting me know. This photo by aar_taunus dated 020719. The original photo can be seen on Instagram here.